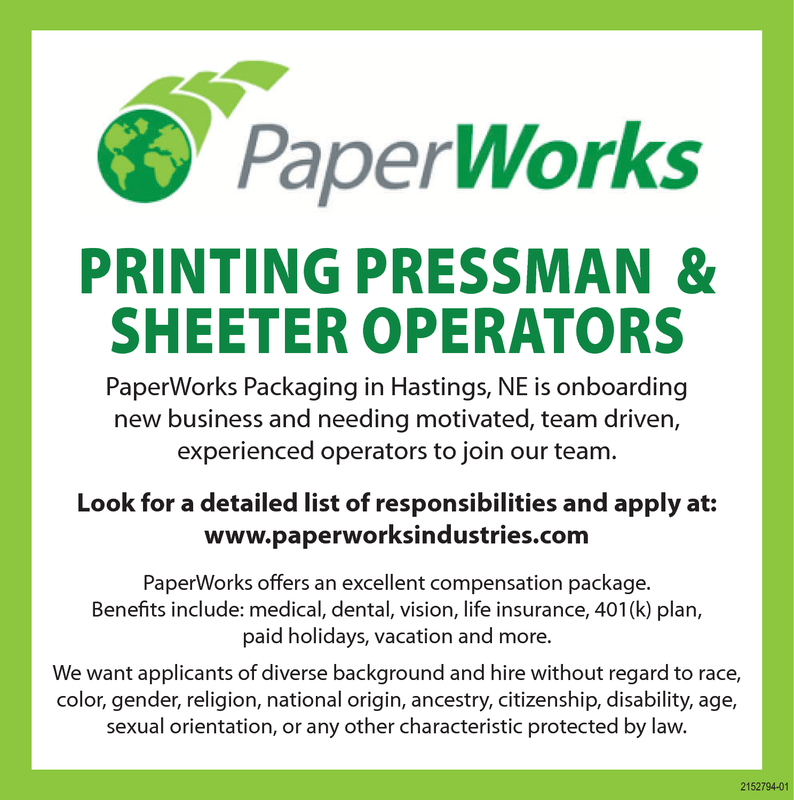 PaperWorks Packaging in Hastings, NE is onboarding new business and needing motivated, team driven, experienced operators to join our team. PaperWorks offers an excellent compensation package. Benefits include: medical, dental, vision, life insurance, 401(k) plan, paid holidays, vacation and more. We want applicants of diverse background and hire without regard to race, color, gender, religion, national origin, ancestry, citizenship, disability, age, sexual orientation, or any other characteristic protected by law.